There’s an old saying: Know your place. None of the men here, of course, has ever said such a thing—but apparently some guys have! And yet, the saying can also be used in a very positive way, reminding us of our importance and value as human beings. One of the reasons I love Psalm 8—part of which was sung as today’s responsorial psalm in between the first and second readings—is that BOTH senses of the saying Know your place are found in it. The writer of that psalm—be it King David or someone else—definitely knew his place. In that respect, he’s a great role model for all of us. 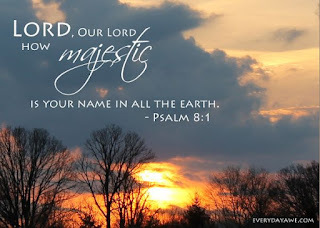 Negatively speaking, for example, he knew his place in the sense that he clearly understood that he was not God!—which is why he began the psalm by acknowledging the real One: How great is your name, O Lord our God, through all the earth! Your majesty is praised above the heavens; on the lips of children and of babes you have found praise to foil your enemy, to silence the foe and the rebel. He also knew his place in that he recognized his relative “smallness” compared to everything else in the material universe (and this was long before people knew just how immense the universe actually is!). Here he was also implicitly admitting his own weakness and sinfulness—as well as the weakness and sinfulness of humanity in general: When I see the heavens, the work of your hands, the moon and the stars which you arranged, what is man that you should keep him in mind, mortal man that you care for him? But the writer of this psalm also understood that his “smallness” (and the smallness of humanity) was only half the story! Yes, he knew that he was, in a certain sense, just a little “speck” in the vastness of God’s creation—and a very imperfect speck at that! But at the very same time he knew that he was a glorious speck, because—unlike everything else in the material universe—he was made in the image and likeness of the Creator himself: Yet you have made him little less than a god; with glory and honor you crowned him, gave him power over the works of your hands, put all things under his feet. All of them, sheep and cattle, yes, even the savage beasts, birds of the air, and fish that make their way through the waters. The writer of the 8th psalm definitely knew his place in the grand scheme of things. I mention this today because we’re living in a world right now where many people do not know their place—nor do some of them even care to know their place—and the consequences of this are often disastrous. Some don’t know their place, for example, because they think they’re God! They write their own rules for their lives; they don’t ever stop to consider that there might actually be an authority beyond themselves that they’re accountable to. If they were honest about it, they would tell you that they think the first line of Psalm 8 should be changed to include their name! Sounds pretty ridiculous, doesn’t it? Well, remember it would sound just as ridiculous with your name in there—or anyone else’s. Others who don’t know their place do understand their smallness—their failures, their weaknesses, their sins, etc.—but they forget their intrinsic value as human beings created in the image and likeness of Almighty God. All of which makes them prone to despair. That title says it all. When I first attended the University of Rhode Island back in 1992, I joined three groups that were on campus: an animal rights group called SETA (Students for the Ethical Treatment of Animals), a pro-life group, and a group against racism. What I found very interesting was the fact that the majority of the students in SETA were for abortion. Even as a freshman at URI who believed in God but was far from practicing the Catholic Faith that I was baptized into, I couldn’t, for the life of me, understand how a person could be so pro-animal while at the same time being so anti-human. How could one stand up for animals and at the same time, be very vocal against the life of human beings in the wombs of their mothers? I actually left the animal rights group because of that hypocrisy. This hypocrisy continues in our current culture of death as over 3000 babies a day are killed in the wombs of their mothers through abortion, while any mistreatment of an animal in our society is treated with swift justice.I say all of this as someone who truly loves animals. I have a dog, two gerbils, a gecko, and 10 fish. I take care of each of them as my “own” family. Yet, at the same time, I know that human beings were created in the image and likeness of God. Each of us has human dignity, and our lives are invaluable. We have eternal souls that Jesus died on the Cross for…. Let us pray that our current culture of death that seems to value animal life on a higher level than human life, changes into a civilization of life and love where every human life is welcomed, loved, and treated with respect and reverence, regardless of size, race, or age. The writer of the 8th psalm would certainly say “Amen” to that! As Fr. Brian indicates there, if everyone knew their place—and the place of their fellow human beings—the world would be a much better place. To know your place, spiritually speaking, is to see yourself as God sees you (to the extent that you can do that here on earth). 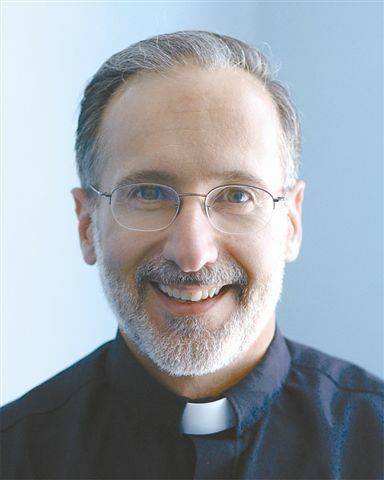 My friend, Deacon Ray Castaldi, led a parish mission this past Lent at St. James Chapel in Charlestown, RI. Stir the Gift into Flame! That, I would say, is one of the most important verses in the Bible—especially if you want to understand what’s going on (and what’s not going on) in the lives of young people in the Church today. St. Paul wrote those words 2,000 years ago to a young priest named Timothy, reminding him that he needed to grow in the grace of his ordination. It wasn’t enough that Paul had placed his hands on Timothy’s head and had ordained him a priest. If Timothy was to be the faithful servant—the faithful disciple—that Jesus wanted him to be and needed him to be, then Timothy had to respond to the grace he had been given at his ordination by “stirring it into flame”—through prayer, and the Eucharist, and Scripture reading, and by taking advantage of the opportunities God was giving him in his life to grow in his relationship with Jesus Christ, his Lord and Savior. The reason I mention this today, on this feast of Pentecost, is because whenever I hear this particular verse of Scripture, I always think of its application to another sacrament: the sacrament of Confirmation. When that sacrament is administered to people—as it was to our teenagers this past Wednesday night—hands are “laid upon them” (usually by the Bishop) and they receive another outpouring of the Holy Spirit (in addition to the one they received at baptism), so that they can be witnesses to Jesus Christ in the sometimes hostile environment of the world. But that’s not what happens very often, is it? All too frequently young people (and not-so-young people) get confirmed, and then, instead of winning the world for Christ, they end up being won-over by the world! There’s a cloud that hangs over Confirmation these days—an elephant in the room if you will, and that’s the reality that a majority of young people being confirmed will, sooner or later, stop practicing their faith—and these days it’s often sooner rather than later. One national statistic indicates that 80% of young Catholics fall away from the Church within ten years of receiving the Sacrament. That’s an astonishing number! Some will return to the regular practice of their faith as adults, especially when they get married (if they’re married in the Church, that is!) and have children of their own. Some will join the ranks of cultural Catholics, maintaining a structural link to the Church but attending Mass only occasionally, on Christmas and Easter for example. And some will never return to the Church, having discarded their religious practice as an unwarranted intrusion in their life, foisted upon them as children by well-meaning parents. In any event, it’s terribly discouraging to know that so many young people, having just publicly renewed their profession of faith and commitment to Christ and his Church, will abandon the practice of their faith, with some dropping out as soon as they can. For these, Confirmation is no more than a graduation ceremony, and having placated their parents and grandparents, they’re set free to fly their separate ways. So what’s the problem, my brothers and sisters? Why is this happening? Is there something wrong on God’s end of things? Is he withholding his Holy Spirit from these teenagers? Is the sacrament they’re receiving invalid or defective in some way? Well, of course not. If it is administered with the proper matter and form by a competent minister, a sacrament (any sacrament) is valid—meaning that it gives the grace that it signifies. So these adolescents have received the Holy Spirit. When the bishop or priest traced a cross on their forehead during the Confirmation Liturgy and said, “Be sealed with the gift of the Holy Spirit” that’s precisely what happened. So the problem’s not with God! The problem is that these young people are failing “to stir into flame the gift they received” when hands were laid on them and the Holy Spirit came to them in the sacrament. As far as I’m concerned, it’s that simple. 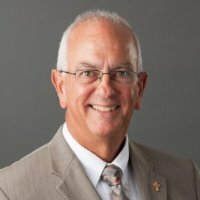 Now there can be many reasons for this failure: a bad example from their parents; poor religious instruction at their parish; a sin (or a number of sins) that they’re not willing to repent of in their lives; the lack of a personal relationship with Jesus Christ; lies that they’ve been told in school about Christianity and the Church. One of the reasons I have youth group every Thursday, one of the reasons we go to Steubenville East every summer and Youth Explosion every fall, is to give teenagers here—especially those who have already been confirmed—the opportunity to “stir into flame” the gift they received from God at their Confirmation ceremony. Because doing that is essential. So, young people, am I saying that all of you have got to come to youth group and these big retreats? No—although I wish you would! But I am saying that you need to be doing something in your life right now to stir your gift into flame—if you want to BE STRONG and if you want to REMAIN STRONG in your Catholic faith. Remember, a fire not fed is very soon dead. So here’s a little homework assignment. Those of you who are parents of teens who have been confirmed: Sometime in the near future (perhaps on the way home from Mass today) sit down with your child and ask him or her that very important question: What are you doing? What, exactly, are you doing at the present time to feed the fire of your Catholic faith? If they say “Nothing,” then tell them that that situation needs to change, and that it needs to change VERY SOON! Do that, at least, if you value their Catholic faith. 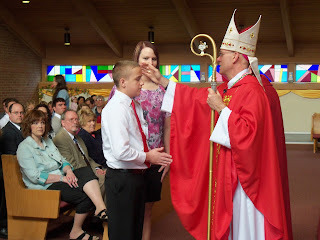 And then, of course, share with your son or daughter what YOU are doing in your life at the present time to “stir into flame” the gift you received from the Lord at YOUR Confirmation—because what applies here to teenagers applies to the rest of us as well. There are two kinds of persecution that we can experience for our Catholic Faith. There’s what I would call “hard persecution,” and there’s what I would call “soft persecution”. “Hard persecution” is the kind that St. Stephen experienced in today’s first reading from Acts, chapter 7, courtesy of the people who stoned him to death, and their accomplice, a young man named Saul of Tarsus (who later had a conversion and who eventually became St. Paul). This is the kind of persecution that ISIS is into; it’s the kind of persecution that Christians of almost every denomination are experiencing in the world right now, especially in Muslim countries. It’s open, it’s aggressive, it’s physically violent—and it’s unapologetic. Persecuted Christians in the world today, for example, should not expect to receive any sympathy cards from the folks at ISIS or Al-Qaeda or Boko Haram. The other kind of persecution that I mentioned is quite different. I call it “soft” because it’s not as open and not as physically violent as hard persecution is. But it’s every bit as real—and every bit as dangerous and destructive. 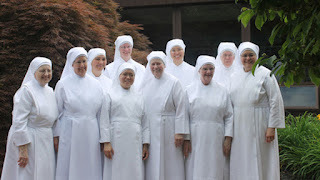 This is the kind of persecution that the Obama Administration is engaged in right now in taking the Little Sisters of the Poor to the Supreme Court to try to force them to pay for contraception and for abortions in the healthcare plans they offer their employees. And then we have the florists and bakers who have been put out of business and publicly vilified because they’ve respectfully declined, for religious reasons, to provide flowers or to bake a cake for a “gay wedding”. Of course, no one would object if they refused, for the same reasons, to provide those services at a Ku Klux Klan event. And how about the situations that Christian doctors and nurses and pharmacists are finding themselves in more and more frequently these days, as they get pressured by government authorities to violate their consciences in their work? It’s soft persecution, but it’s persecution nonetheless. Pope Francis, I would say, is absolutely correct in his assessment of the situation. We, as Catholics, need to be aware of all this—especially during this election year. And we need to take action! We need to vote people into office this November who will honor our Constitution by respecting—and preserving—the freedom of each and every American to practice his or her religion according to the dictates of his or her conscience. Or else what’s happening to the Little Sisters of the Poor, and to Christian florists and bakers and doctors all over this country will happen to YOU! Let me close now with a word to the mothers on this Mother’s Day. Normally my entire homily on this weekend is devoted to moms, but I really felt called this week to address the issue of religious freedom, in light of the story we heard in our first reading—this account of the stoning of St. Stephen. And yet, there is still a definite message here for mothers (fathers too! ): For the sake of your children, make religious freedom a central issue in your life, and not just in this upcoming election. Make it a central issue ALWAYS, because, if we lose religious freedom in this country in the near future, many of our other freedoms will eventually be lost as well—and your children, and your children’s children will be forced to deal with the consequences. We can still save our nation—and our future. That’s the good news. But it won’t happen magically. We have to take action NOW and make our leaders accountable NOW for what they do—and for what they don’t do—to protect and promote genuine religious freedom. Because if we don’t stand up in the present moment and fight against the soft persecution we’re currently experiencing, then hard persecution is very, very likely to follow. St. Stephen, pray for us, that that will never happen. Welcome to our modern, “advanced” society. That’s the first possible attitude a person can have toward his or her body (or the body of another human being): It doesn’t matter. The second possible attitude is at the opposite end of the spectrum, and it says that the human body is all that matters—in other words, that it’s the only thing that matters in life. “The cult of the body” is what Pope John Paul II called it. This is the attitude of many people who currently work in the entertainment and advertising industries—and in the fitness world: places where we’re constantly given the message that the worst thing that can possibly happen to you is that you get old. Well, let me tell you, my brothers and sisters, it’s gonna happen—you WILL get old!—no matter how many miles you run, no matter how many reps you do at the gym, and no matter how much anti-wrinkle cream you use on your face. Hopefully that’s not news to anyone here! The proper attitude toward the body, of course, is the third one I mentioned at the beginning of my homily. As I just said, at one extreme you have those who say the body doesn’t matter at all, and at the other extreme you have those who say the body is the only thing that matters in this life. But then you have those who take the middle position (the right one), and who say, very simply, that the human body “matters”. It’s not all that matters—in its present state it’s not immortal like our soul is—but it’s still important. Which means that we should respect it, and care for it in reasonable ways, and nourish it properly, and use it to serve our neighbor and to demonstrate our love for God. This is an important lesson that we learn from the Ascension of Jesus. 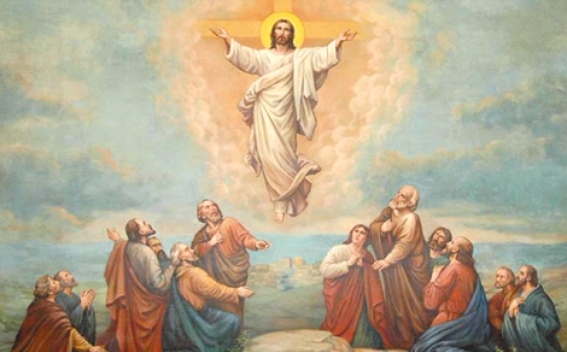 When our blessed Lord ascended into heaven 40 days after he rose from the dead on Easter Sunday, he did so with his human body. It wasn’t just his soul that went into the kingdom of God; his body did as well. That little fact is extremely significant, because it means that ever since Ascension Thursday, heaven has been inhabited by a divine Person who has a body like ours (although his body is already in a glorified state). Jesus, in and through his Ascension, has made it clear that our human body has value—great value—even in its present mortal condition, because someday it will be resurrected and will exist (if we go to heaven) in a glorified and immortal condition. This is why, incidentally, the Church says that the human body is to be treated with respect and care even after death. And that respect is to be shown even if the deceased person is cremated. The ashes of our deceased relatives are not to be kept on the mantle in the living room, or scattered to the four winds at Misquamicut Beach, or left at various places on the Camino de Santiago in Spain (as Martin Sheen’s character did in the movie, “The Way”). They’re to be kept together and interred with the proper burial rites of the Church—because those are the ashes of a human body: a human body that will be raised from the dead at the end of the world, a human body that will be reunited with its soul, a human body that will become immortal. A human body, in other words, that matters. What’s the opposite of peace? Think about how you’d answer that question. Is it war—or hatred—or fighting—or disharmony—or disagreement—or conflict—or agitation? Those are some of the words you’ll find in a thesaurus when you look up antonyms (opposites) of the word “peace”. I know that because I did it the other day in preparation for this homily. Now it’s very interesting, one word that I did not find in any of my research is the word that I believe Jesus would have used had someone asked him this question 2,000 years ago during his earthly ministry. Had someone said to him, “Lord, what’s the opposite of peace?” I really believe Jesus would have said, “Oh that’s easy. Not war, not hatred, not conflict, not any of the others, but rather sin. In the eyes of the world, peace means “the absence of war”: that’s the kind of peace the world “gives”. But that’s a very superficial—as well as a very flimsy—kind of peace, is it not? And the reason it’s so superficial and so flimsy is because it can actually COEXIST with sin! You can hate someone with every fiber of your being; you can refuse to forgive that person for the things they’ve done to you; you can refuse to speak to them or even acknowledge their existence: as long as you’re not at war with the person—as long as you’re not directly attacking him or her in some way—you’re “at peace” with them in the eyes of the world. 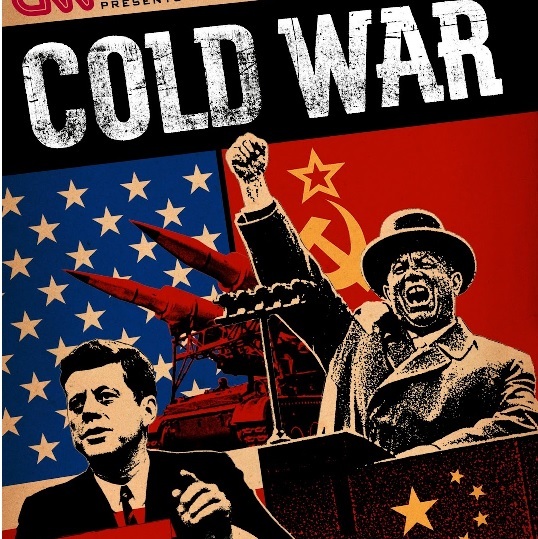 This is the kind of “peace” we had with the Soviet Union during the Cold War. Some of us are old enough to remember those days. There were no bombs dropped during the Cold War (although we came close during the Cuban Missile Crisis); there were no soldiers dying on the battlefield; there were no declarations of war by the two countries—so, technically speaking, we were “at peace”. But behind it all and at the same time there was a lot of anger and bitterness and hatred in the hearts of people in both nations. The Cold War is a great example of the kind of peace “the world gives”: a peace that often coexists with sins like hatred. The peace of Jesus Christ our Lord and Savior (that is to say, real peace) is different. The peace of Jesus is about two things: being “right with God” and being “right with your neighbor”. This means, quite simply, that if you want the peace of Jesus Christ in your life, you need to begin with repentance—because that’s the only way to “get right” with God! Please hear that, especially if you haven’t been to confession in a while. And repentance, if it’s genuine, leads to a firm purpose of amendment. In other words, it leads to OBEDIENCE: obedience to the Lord’s word, obedience to his commandments (especially the two great commandments: to love God above all things, and your neighbor as yourself). This is why I said that, for Jesus, the opposite of peace is SIN. Worldly peace and sin can coexist, but real peace and sin cannot. So—you wanna know why there’s so little real peace in the world? It’s because a lot of people nowadays believe the exact opposite of what Jesus Christ believed! For Jesus, peace and sin were antonyms, but for many people in our world right now peace and sin are not antonyms, they’re almost synonyms! They go together! These men and women think they can have real peace in their lives while stubbornly clinging to their sins—especially their serious ones. And, I would add, repenting if we break them! Lord Jesus, give us the grace to do these things: the grace to obey, and the grace to repent when we don’t obey, so that we will be able to do our part in bringing peace—your peace—real peace—more fully into our world. Amen.